From the moment the first viaducts were built and water began to flow through them into ancient cities, a knowledgeable, mechanically minded individual was called to repair breaks in long, traversing lines of connecting pipes. The word "plumber" originates from the Romans, whose ultra-modern construction of viaducts, baths, and drains advanced their cultural standards. Romans used lead for piping, and in the Latin language of the Romans, "plumbum" was the word used to describe lead. Those who worked with pipes made of lead were referred to as "plumbers." Today, every structure built for occupancy eventually requires the services of a plumber to install, repair or maintain piping, drains, sewer lines, and heating and cooling equipment. Anyone who has ever discovered a major leak in a pipe knows they can rely on a plumber to repair leaks. 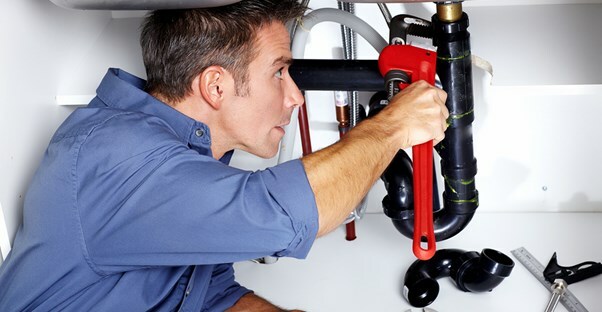 Plumbers do many other types of work, in addition to repairing leaks. Many plumbers install central air conditioning units and test septic systems for potential damage using state-of-the-art equipment. Others may install heating systems, hot water heaters, hot tubs, dishwasher water connections, and washers and dryers. Plumbers must also have thorough knowledge of federal, state, and local compliance regulations. Do Plumbers Have to Be Licensed? Plumbers in most US states must be licensed to perform plumbing jobs. This usually requires a Journeyman's license, granted after a period of plumbing apprenticeship and a specific number of hours spent in field and classroom work. Generally, the apprenticeship is followed by an application to the Board for Licensing Contractors. Applications for apprenticeship can be obtained from the Plumbing Industry Council. There are two classifications for plumbing licensing: CMC and CMC-A. In certain states, a plumber must also apply for a municipal license. Master plumbers are licensed and have passed a strict state testing and certification process. To qualify as a master plumber, a specific number of years of experience are required, as well as possessing full plumbing and pipe-fitting skills. Most master plumbers have associate degrees and knowledge of mechanical drawing, math, and chemistry. In certain states, master plumbers are required to have completed an associate degree before their apprenticeship. Master plumbers are highly skilled individuals who possess advanced knowledge of complex plumbing installations in new and existing commercial and industrial facilities. A master plumber is required for major construction projects and manages a team of licensed plumbers as the plumbing project manager. They ensure that work is in accordance with ANSI, ASME, NFPA and OSHA guidelines. A master plumber has full knowledge of ANSI color codes for piping, ASME codes for piping pressures, and OSHA worker safety regulations. Plumbers are reliable, skilled individuals who rescue customers from potential plumbing and HVAC disasters.